New color coded parking areas in Downtown will help you determine the best place to park. Park in the Orange Zone if you are running an errand, need less time, and don’t mind paying a little more. The higher price encourages turnover, makes it easier for you and other customers to find a spot, and is better for business. E 14th Street from Chumalia Street to Maud Avenue/ Thornton Street between Hays Street and Santa Rosa Street. 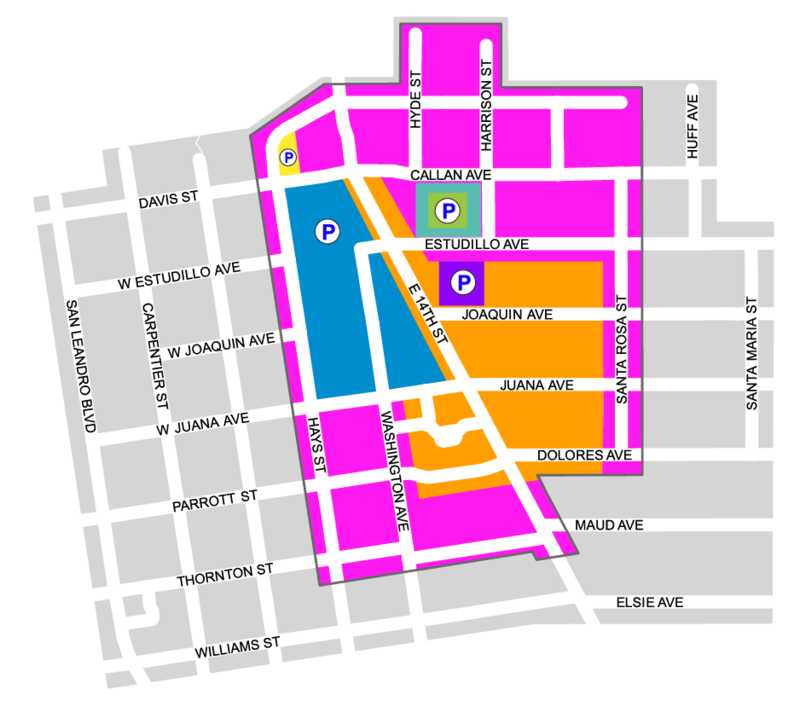 Park in the Pink Zone if you are running an errand, need less time, and don’t mind a little walk. This area is a few steps from the Downtown core, it’s less expensive, and provides more options for parking. E 14th Street from Estudillo Avenue to Maud Avenues. Park in the Green Zone or Blue Zone in the Downtown Parking Garage if you are a downtown employee or a customer that needs more than 3 hours of parking. Questions or Comments? Have questions or comments about parking in San Leandro? Contact Us!